The flagship of the Senator range, the Offshore 1020 has evolved from the earlier 850-940-970 models to become the fine craft it is today. Designed as a moored vessel with the ability to be towed behind short to medium wheelbase trucks, it is truly a remarkable offshore rig. 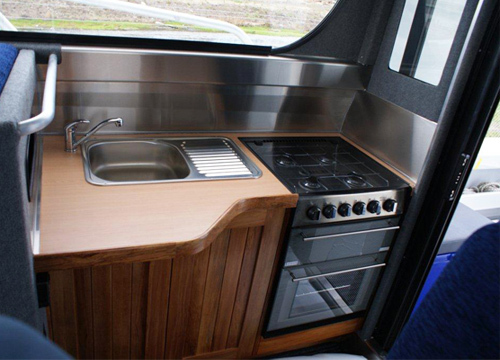 The attention to detail in the galley and sleeping areas give a welcoming feel to this alloy boat. 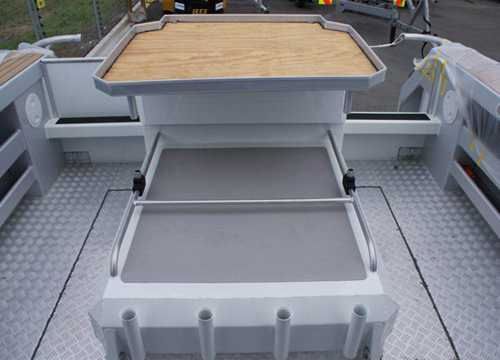 An outside shower and toilet fits neatly next to the fishing areas, large bait stations and walk through transom leading to a large duckboard with live bait tanks built into it. Tuna tubes are also built into this area. 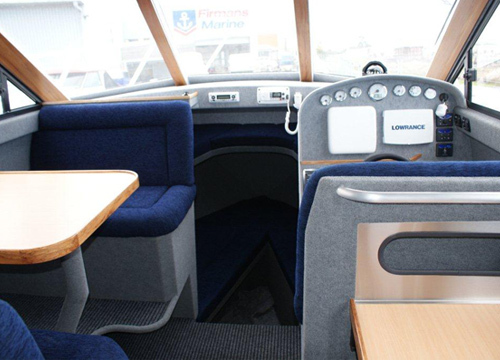 The Offshore 1020 is available in a variety of layouts and can be custom built for commercial operations, charter work or that home-away-from-home in your favourite cruising or fishing area. Outboard or diesel stern drive compatible and with comfort levels in the main and fore cabins, this model is the envy of many in the industry. Your ability to visit that special spot and stay in comfort then cruise home in style is what this boat is all about. Call us to discuss your requirements and cabin layout. 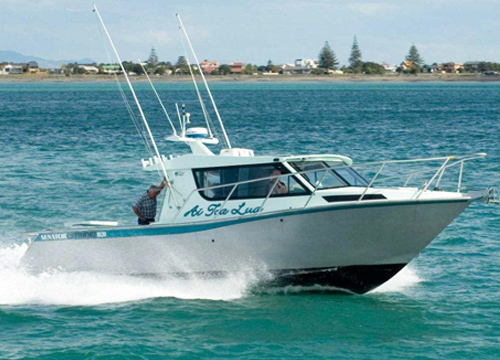 We have the knowledge and expertise to provide you with a boat to be proud of.